At MASE the solar advantage we offer private business, government organizations and energy utilities is a comprehensive approach to solar solutions, energy sector experience and the financial strength of a long standing regional firm. We are experienced in every solar energy life cycle phase, offering turnkey design, development, construction, maintenance and asset management of solar PV systems. We design, build and maintain every type of solar PV system, providing sustainable solar solutions for retail, utility and community customers. 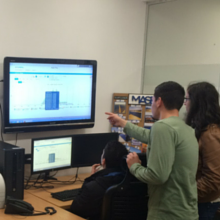 MASE was a natural development arising out of the energy sector experience of the Arabia Group. The expertise we employ to build utility and industrial scale solar projects is informed by the utility scale energy sector history of Arabia Group. The financial strength of a long standing regional firm backs our development, construction and maintenance activities at MASE, allowing us to align with global investment firms, solar developers and regional and international lenders. Such entities include the International Fund Corporation (IFC), a member of the World Bank Group. Our approach to the region’s clean energy future is holistic. We understand solar energy installations must operate at peak efficiency to reduce investor risk and maintain an environment of investor bankability. Consequently, our focus is to become the leading provider of O&M and Asset Management services for solar plants in the Middle East. Currently we hold the largest single O&M reference in Jordan, Arabia One Solar. MASE is approved by the International Fund Corporation (IFC), a member of the World Bank, as the O&M provider for Arabia One Solar. This recognition serves as an international validation of our credentials. From development through construction, operation and management, our MASE team develops sustainable and predictable clean energy sources which meet high financial and generation performance goals. We plan, design, develop, construct and manage grid-connected utility scale solar power. 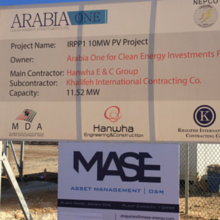 Our flagship project, Arabia One Solar, is a 10 MW solar PV plant constructed in Ma’an. It was co-developed with leading international firms and co-financed by the World Bank’s IFC and Finland’s Finnfund – a world-class stamp of approval. 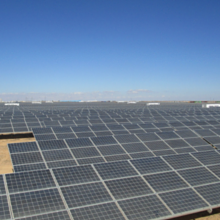 Arabia Two Solar, a utility scale solar power plant in Safawi, is now in development. It is a private 51 MW IPP solar PV plant. The project, which was awarded as a result of a record-breaking competitive bidding process as part of Jordan’s second round Renewable Energy IPP Program, is being co-developed with a leading Saudi Arabian construction firm. 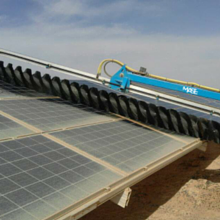 We offer private business and government agencies including the Jordan Energy Commission solar energy services to offset your electricity costs. By generating electricity through solar, organizations not only reduce their energy costs but contribute sustainable solutions to our region. Our experienced solar team is here to help you realize your energy goals.